From March 16 to 19, Dr. Jin Xin, Director-General of CCCWS, led a delegation to <?xml:namespace prefix = st1 />Egypt. During the visit, the delegation paid visits to H.E. Dr. Essam Sharaf, former Prime Minister of Egypt, H.E. Amb. 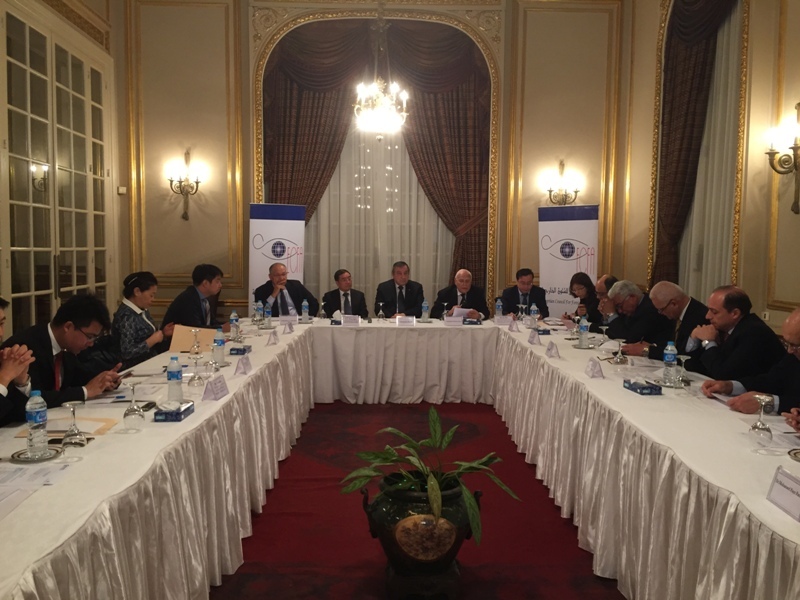 Mounir Zahran, Chair of the Board of Egyptian Council for Foreign Affairs (ECFA), H.E. 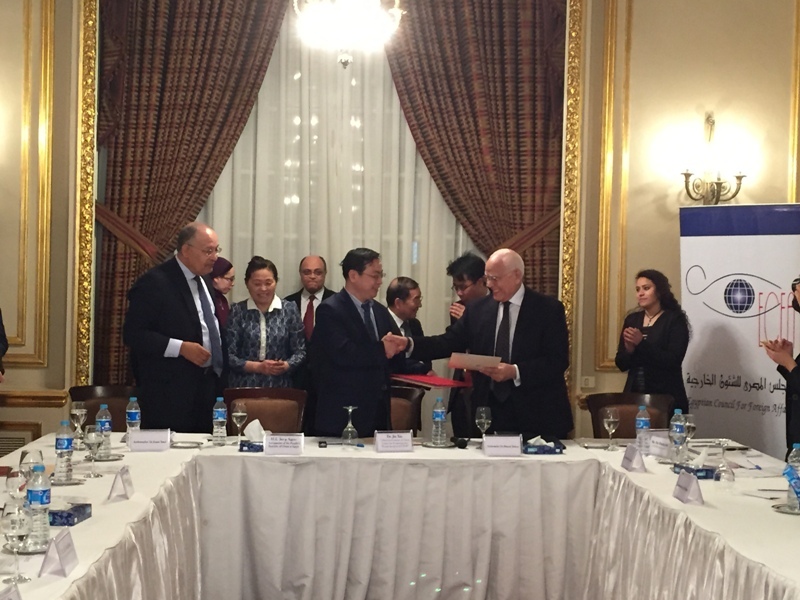 Mr. Song Aiguo, Ambassador of China to Egypt. The delegation also held the Symposium on “Belt and Road Initiative” and Cooperation with the Suez Canal Economic Zone with ECFA and signed a MOU. The delegation then paid inspection visits to TEDA-Suez Economic Cooperation Zone and Ain Sokhna. CCCWS signs a MOU with ECFA. Dr. Jin Xin has noted that Egypt and China are old civilizations and they were connected by the ancient continental and maritime Silk Road over 2000 years ago. During the 61 years since the two countries established diplomatic ties, we stand together steadfastly despite changes in international situation and this can be a paradigm for cooperation between China and Arab, African and developing countries. Last year, Egypt and China signed a MOU on jointly building the Belt and Road that matches well with Suez Canal Economic Zone in planning and idea. Joining the two plans will undoubtedly open up new room and bring in new opportunities for bilateral cooperation between China and Egypt. H.E. 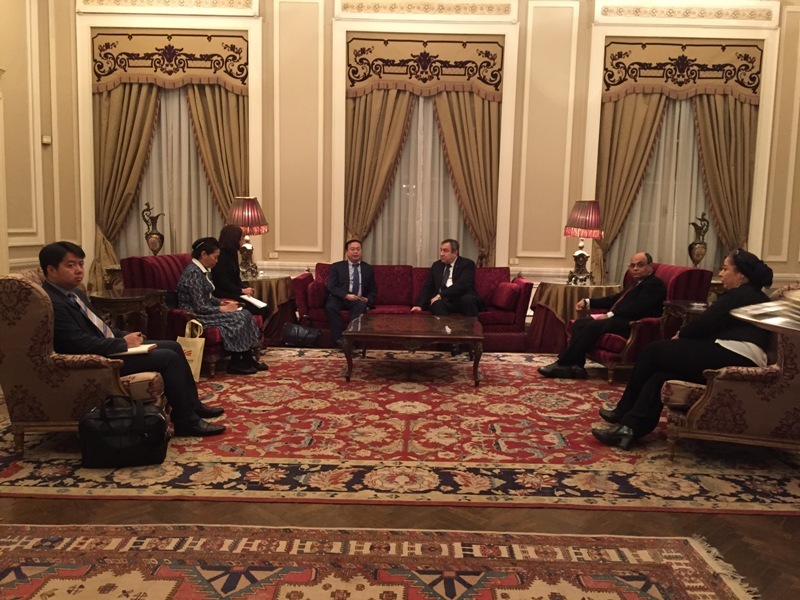 Dr. Essam Sharaf, former Prime Minister of Egypt, meets with Dr. Jin Xin. H.E. Amb. 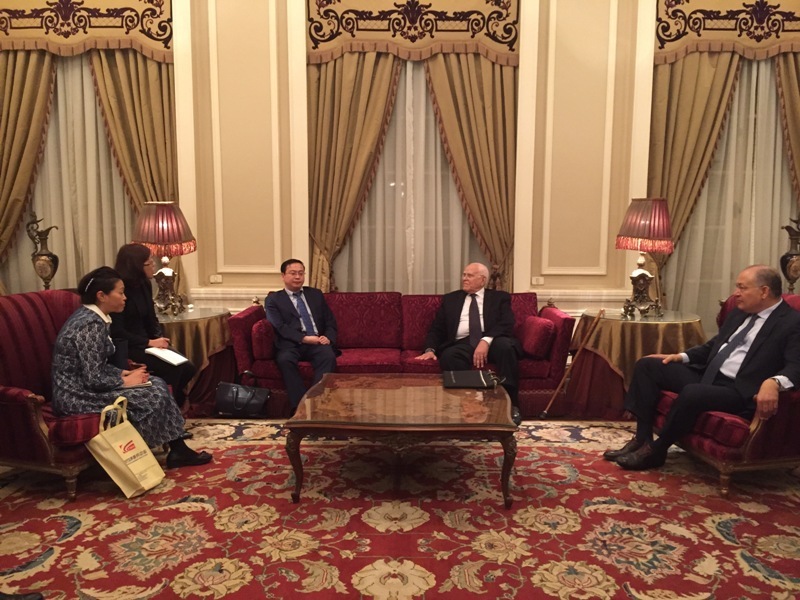 Mounir Zahran, Chair of ECFA Board, meets with Dr. Jin Xin. The Egyptian side has said that the Belt and Road is not only about projects, but rather about development ideas and a new concept of cooperation and development. The Silk Road Cooperation Forum to be held in May this year means old civilizations getting together to jointly shape a new globalization. This is good news for the world as well as for China. The Belt and Road Initiative is an important chance for countries along it to achieve rapid development. Egypt and China should promote integration of development plans, work together on industrial parks, deepen capacity cooperation, and translate cooperation willingness to actions. H.E. 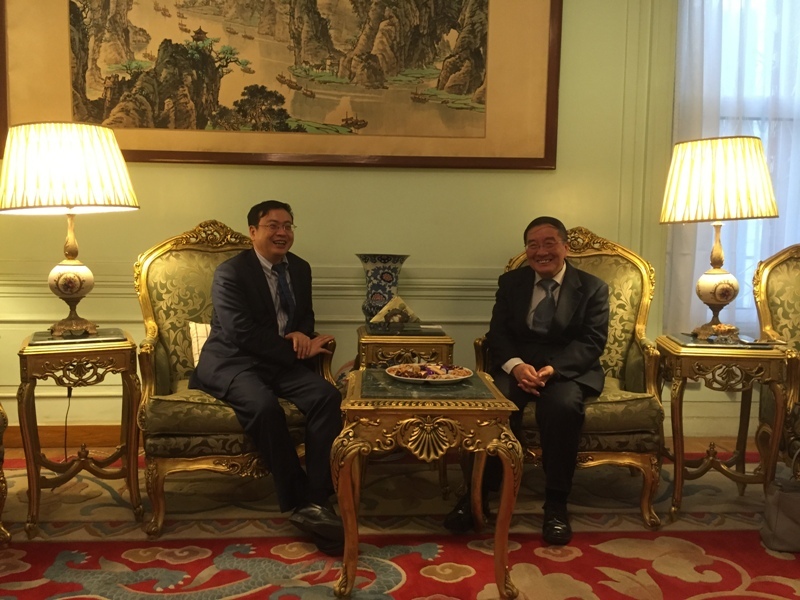 Mr. Song Aiguo, Ambassador of China to Egypt, meets with Dr. Jin Xin. Members of the delegation include Prof. Wang Wen, Executive Dean of Chongyang Institute for Financial Studies at Renmin University of China, Ms. Mou Hong, CCCWS Research Fellow, Dr. Lin Yongliang, CCCWS Associate Research Fellow, and Ms. Nie Shengquan, CCCWS Research Assistant.